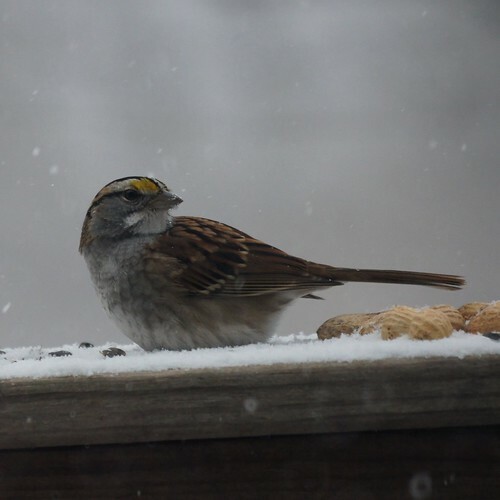 When it snows, or when we want the birds to come up to the deck, we leave out nyjer, peanuts, and sunflower seeds for the winter birds in addition to the safflower, suet and nyjer in the feeders. The juncos prefer the nyjer and the cardinals prefer the sunflower seeds. 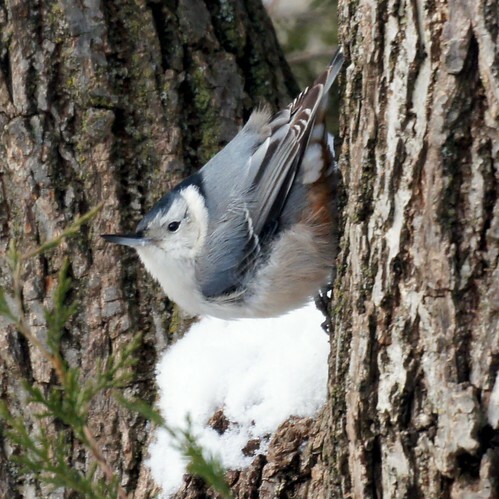 Blue jays, red bellied woodpeckers and tufted titmice like the peanuts. The nuthatch will visit the suet and the feeders but rarely comes to the deck. 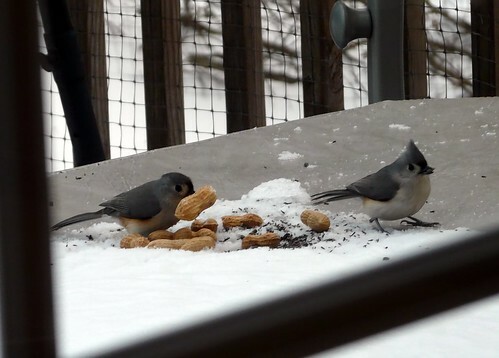 The blue jays can be quite aggressive with the peanuts, but Mike got a photo of a nice pair of tufted titmice enjoying them without the blue jays interfering. 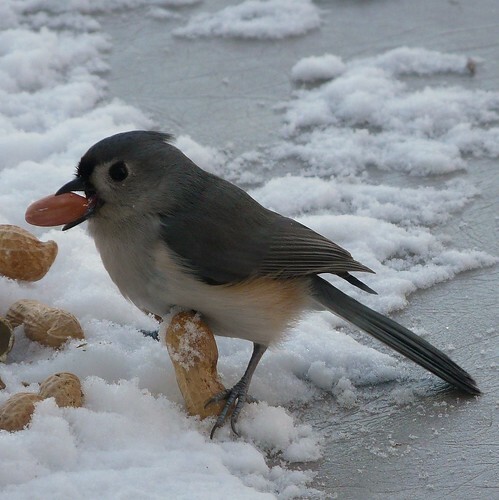 We have been feeding our birds a little more than usual after the major snowfall. I am in Manchester and have a yard full of Juncos,Tufted Timouse,Chick a dees, and Cardinals. I put a picture of a snowy Junco on my blog.